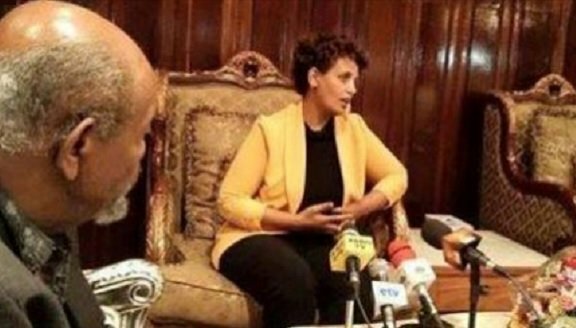 Ethiopia’s former, and the only women, opposition leader, Birtukan Mideksa, arrived at Bole International Airport about an hour ago, confirmed Ethiopian State Media – EBC. She has been living in the United States for seven years now. She was arrested twice by Prime Minister Meles Zenawi’s government. Ethiopian government initiated her return as her skills is needed in the ongoing reform in the country. Birtkan has expressed interest in the area of building democratic institutions relevant for democratizing Ethiopia, not just for the ongoing change. Unofficial sources in social media report that government is intending to appoint her as Election Board chairperson. However, government media outlets have not yet reported about that.